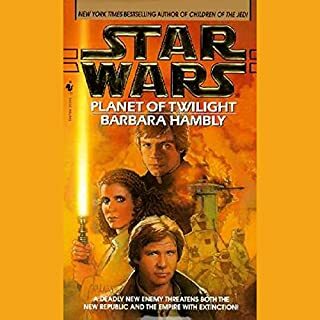 In Children of the Jedi, Barbara Hambly introduces a new character: Callista, a brave Jedi warrior of long ago who gave her life to foil one of the Empire's darkest plans, a plot to destroy a stronghold that was a sanctuary for the families of Jedi knights. The plot involved a dreadnaught, one of the Empire's most devious inventions, governed by a sophisticated artificial intelligence. Crippled during the war against the Empire, the vessel has drifted through space for years. But now it is slowly reactivating and resuming its inexorable mission. Only Luke Skywalker can feel its evil presence as well as the mysterious influence of that powerful woman who should have died decades ago. (P)1995 Lucasfilm Ltd. and TM. learn how to pronounce coruscant. there was a lot of jumping around in the story too so it was difficult to keep up with. how about an unabridged version? Big surprise ending! Great sound effects and music. Wonderful way to let us continue the Star Wars saga. Not only can Heald not do any of the voices well, he cannot even pronounce the names correctly. I wish somebody would re-do all of these books (unabridged) using Marc Thompson! Need does the guy talk soft and then blare sound effects. Also, he doesn't have the best narrator voice, probably why he has to use sound effects, but the sound effects are so loud so you have to turn the volume down, but he talks so soft so you have to turn them volume up, but... God dammit! I love Star Wars, and so I have read or listened to a lot of the books. I plan to work my way through the rest. In this regard, the audio versions allow me to get through the stories faster. 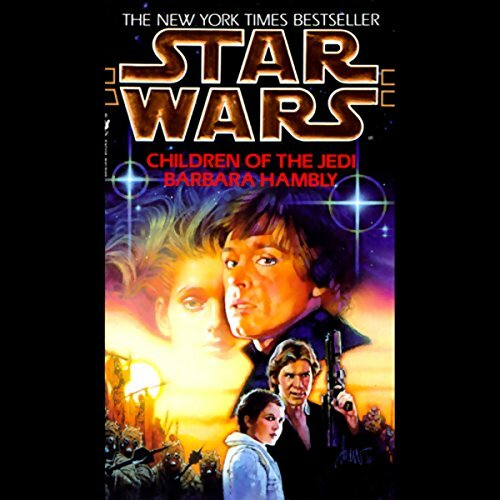 If you’ve listened to books by Barbara Hambly before, how does this one compare? This was the first Barbara Hambly story I have listened to. It was more of a science fiction book than one of political intrigue. 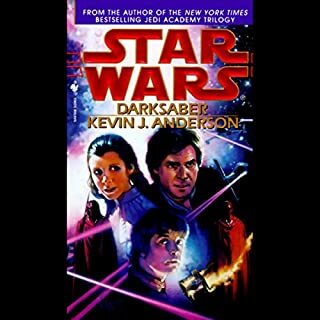 It wasn't my favorite SW book, but I still am glad I listened to it. I liked Callista the best. The love that developed between Luke and Callista was the best part of the story. I don't like to read or listen to a book in one sitting. I like to read a little, reflect, read a little more, and reflect a little more. In this way I savor the book. This book was a stand-alone story, but it was also the first book in the unofficial Callista Trilogy. The abridgment was a little severe on this. I wish they had included more details from the print version. But all in all, I am glad I listened to this. The Callista romance was a good story line for Luke. One star is a star to many. They don't get much worse than this. Bypass this book. It adds nothing to the story. Keeping the story tight by not cutting out of the book vital parts. 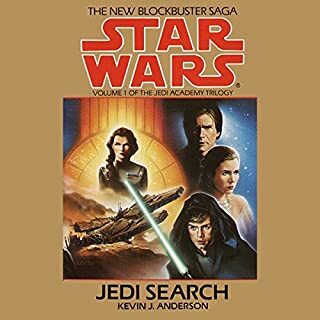 Probubly another starwars book, I'll try to go for something unabridged this time. Definatly a bad expirience with abridged books this time around. Nice music, very good reading speed, clear voice. At times, the book jumps ahead on the story as it is abridged, but the performer reads like it is the same scene as before, making the book hard to follow. I'd like to see it in an unabridged version as the story is promissing but can't bother to read it if I can't follow the characters and their individual stories. 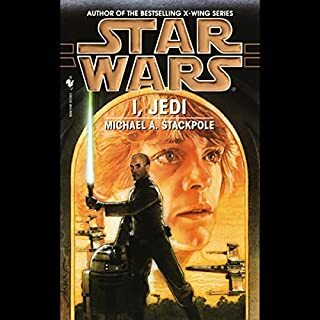 I love all audible starwars books for their phantastic sound effects. 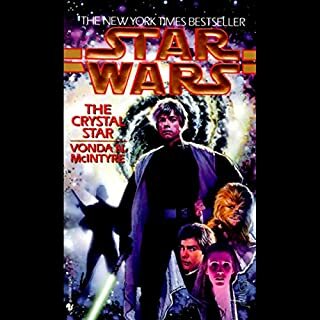 Where does Star Wars: Children of the Jedi rank among all the audiobooks you’ve listened to so far? 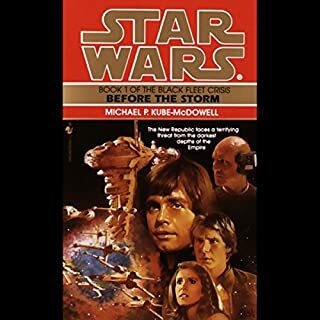 It was ok, it was hard to keep track of the story and you NEVER find out what happen to the "Children of the Jedi"
the thought that there are other people on the empires side that were not killed on the Death Star and what they are now doing. What about Anthony Heald’s performance did you like?